We see occasional evidence of confusion, in Blogger Help Forum: Get Help with an Issue, about reading newsfeed content. I click on the link at the bottom of the page, and I get a screen full of gibberish. When we check the problem report, and verify browser involved, it will almost always be for users of the Chrome browser. 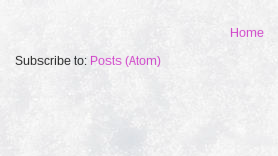 If you click on the "Posts (Atom)" link, at the bottom of the blog Home / main page, you should link to a page full of posts newsfeed content. Browsers, by default, read only HTML content. Your browser, by design, reads HTML content. Newsfeeds provide your blog content, as XML. Some browsers translate XML to HTML. Firefox and Internet Explorer contain a newsfeed reader - and will translate XML into HTML, automatically. Chrome, however, does not contain a newsfeed reader - unless you install an extension, on your browser. If you click on "Posts (Atom)" when using Chrome, you get a page full of XML - your screen full of what can be likened to gibberish. To read XML with Chrome, you (and your readers) have to install an add-on accessory. I installed the RSS Subscription Extension (by Google), on my Chrome browser. You may try that product (by Google) - or any other RSS Extension (by another provider), as you wish - in your Chrome browser. The link is there - on most blogs. The Home / Main page has a link to "Posts (Atom)", and the blog posts newsfeed. This page may have a link to "Post Comments (Atom)", and the comments newsfeed, for this individual post. The latter, for any given post, may be empty. Most blogs have this link - and some people use it. If you use it with Chrome, you get a screen full of "gibberish". 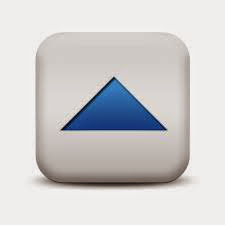 This blog will link you to the FeedBurner redirected feed - and no gibberish. To make your readers happy, redirect the blog feed to FeedBurner. As an alternative, you can setup a FeedBurner feed, for the blog - and redirect the blog feed to your FeedBurner feed, with "BrowserFriendly" activated. This will take care of everybody, reading your blog (and clicking on the link) - and using a FeedBurner feed provides other possibilities. I noticed this problem back in at least 2011. I took the link to feedburner off my blog. There are times on facebook I've tried to explain to people how to add an extension onto Chrome. Sadly I feel like Chrome is letting us down with the recent cancelling of Flash, and they cancelled the newsreader years ago, and everyone has been clueless about adding an extension for the reader. As I was till you posted this article. Thanks, your tips are always so easy to understand. You're my first go to source for help.